Mention this offer when calling to book your first extension consultation and application, and Receive HALF OFF your first initial application fee. Microlink Connections, Tape Weft and Link Weft options available to totally customize your look for your hair type and desired look. Hair extensions are a great solution to enhance a guests’ natural hair by adding volume, color (without undergoing a chemical process) and length. At Parlour 9 Salon & Spa, we are lucky to have an in house National Master Educator with Perfectress Hair Extensions overseeing each of our certified stylists, to ensure a great extension service with one of our certified extensionists. Each stylist is under continuing education with the educator and Perfectress Extensions, and we feel fortunate to be current in all new education and the utmost current training within the product line. We consider ourselves the most educated salon in Minnesota using the Perfectress Hair Extension systems in the Microlink Connections, and the Tape Wefts. Please take a look at our before and after pictures on our Facebook Page: Parlour 9 Salon & Spa, or our Instagram Page: @parlour9salonspa . We update it regularly with new before and afters. We are also excited to be offering HotHeads Tape Extensions in addition to our other great brand, letting us totally customize your individual needs with color choices, and custom placement. We offer high quality hair extension systems that minimize the impact on the integrity of our guests’ natural hair. In addition, the systems we offer allow for the extension hair to be maintained & reused 8 months and up to a year with proper at home care, giving you the opportunity to reap the most benefits from your investment. We specialize in Perfectress Connections (a strand by strand system), Perfectress Tape Weft extensions, Perfectress Microlink & Link Weft- a brand new revolutionary extension, and we can make custom high end Perfectress clip-in hair extensions. 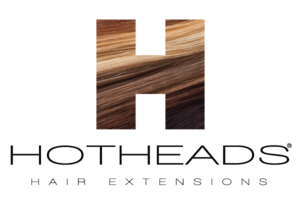 HotHeads Tape Extensions, offering a full aray of length choices, as well as Ombre and Colormelt options to make you experience a totally unique customized service just for you. The Evolve Volumizer designed for women with 50% or more hair loss. All systems excluding the Evolve Volumizer are available in 10, 14, 18 and 22 inch hair lengths. Each of our hair extension systems offered are made with 100% human, Remy hair that meets our rigorous standards for hair quality. We have available a wide range of colors, lengths and textures to match most hair types and colors. If you are thinking about hair extensions, it is important that you consult with a certified professional before making your decision. Call us at 952.898.7272 to schedule a complimentary hair extension consultation with one of our Certified Stylists. We will go over your options, and make recommendations to help you achieve your hair goals. Please visit our Facebook page for albums of some of our hair extension services we have done. All hair extensions services require a consultation with one of our Certified Extension Specialists. During this 30 minute appointment, your natural hair is evaluated to determine if it is strong and healthy enough for hair extensions, as the integrity of your own hair is very important to us. We will then ask a list of questions that will help us understand your vision and desired look. Lastly, we explain the maintenance and upkeep requirements and cost for the hair extension system you are considering. We will go over hair extensions paperwork and purchase agreement, along with a hair extension release form. We will match the color and texture of hair extensions to your own natural hair. If you decide to go forward with your extensions, we require a 50% deposit to be collected, and at that time the custom hair extensions will be ordered, and we will then schedule your future appointment to apply your extensions. (Next day shipping is available for an additional fee if that is what is needed to make the appointment happen). The remaining 50% balance will be due at the end of the application appointment. We include an at home care kit with every initial hair extension service so you will have the necessary basics to maintain your new hair. Guests must be at least 18 years of age to book and receive hair extensions services, or a parent or guardian must be with to sign the release form. On average, each of our hair extension systems require a maintenance appointment either every 5, 8 or 10 weeks depending on the system used. During this appointment, the extension application points are maintained, natural shedding is removed, and hair extensions are moved up close to the scalp area. This is necessary to prevent damage or matting, and to reposition hair extensions so they blend well with our own natural hair growth. Maintenance appointments are not required for clip-in hair extensions. Please do not hesitate to call and talk with one of our Extension Specialists. We are always willing to talk about the endless possibilities using hair extensions.